Chick's Bar (18550 W. Warren Ave.) is famous for its Friday fish fries during Lent. And by famous, I mean famous. 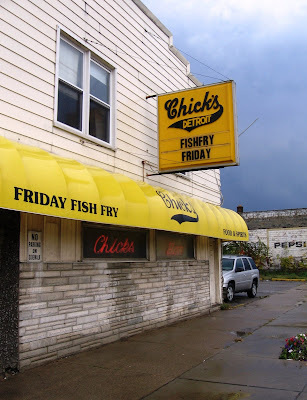 I have bumped into random people as far away as Chicago who, when they heard where I live, started talking about Chick's Bar and it's Friday fish fries during Lent. The food is good, plentiful, and cheap. Plus, it's served with a neighborhood charm. If you haven't experience it yet, I highly recommend trying it this Friday. It is your Cool Warrendale Thing of the Week.